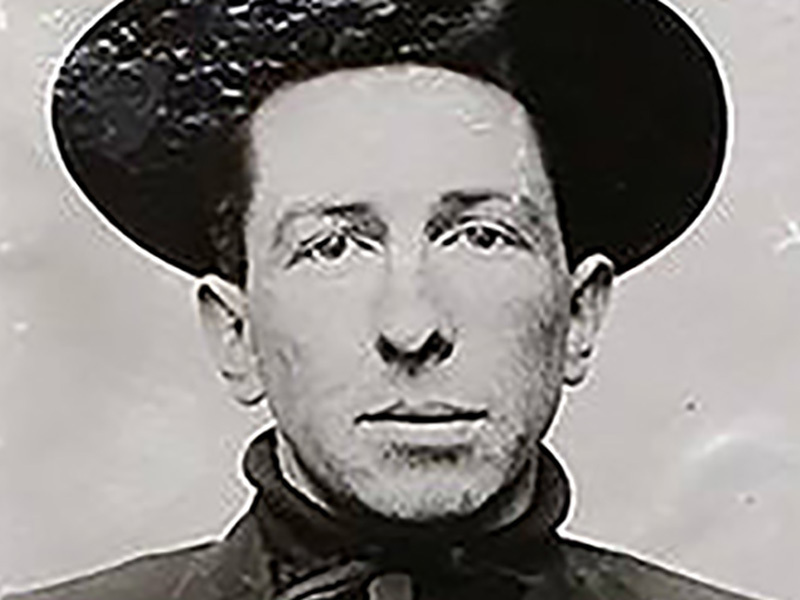 SCVHistory.com LW2913 | Obituaries | Death Certificate: Tom Vernon, 1929 Saugus Train Robber. The man who derailed a Southern Pacific train and robbed its passengers in Saugus on Nov. 10, 1929, had no family member to serve as the coroner's informant for his death certificate, so the document provides no clue as to his true identity. Not even his parents' names are listed. The man who was known to the newspapers as Tom Averill (probably a stolen identity) and who called himself Buffalo Vernon (definitely a stolen identity) died as Thomas Vernon — the name by which he was most often (but not always) known to California's criminal justice system. The information for his death certificate was taken from the "social record," which might mean the Social Security Index or the way he represented himself when he was admitted to Sacramento County Hospital (2315 Stockton Blvd.) on Aug. 11, 1967, a week prior to his death. It says he lived in California for 13 years; apparently his time in California's Folsom Prison was not taken into account. Vernon did drift to Idaho after his release as noted in this news story, but he must not have stayed long if he was back in California by 1954 — thirteen years before his death, which came just past midnight on Aug. 18, 1967. 1225 F St., Sacramento — Tom Vernon's last place of residence. Click to enlarge. The notation of his birth in Wyoming on Jan. 28, 1884, is consistent with his own account of his birth; we're not aware of a birth certificate. His Sacramento County residency is consistent with the claim of Carolena Rezendes that Vernon lived with her family in Citrus Heights in 1957-58. In 1962-63 he was living at 825 V St., Sacramento. 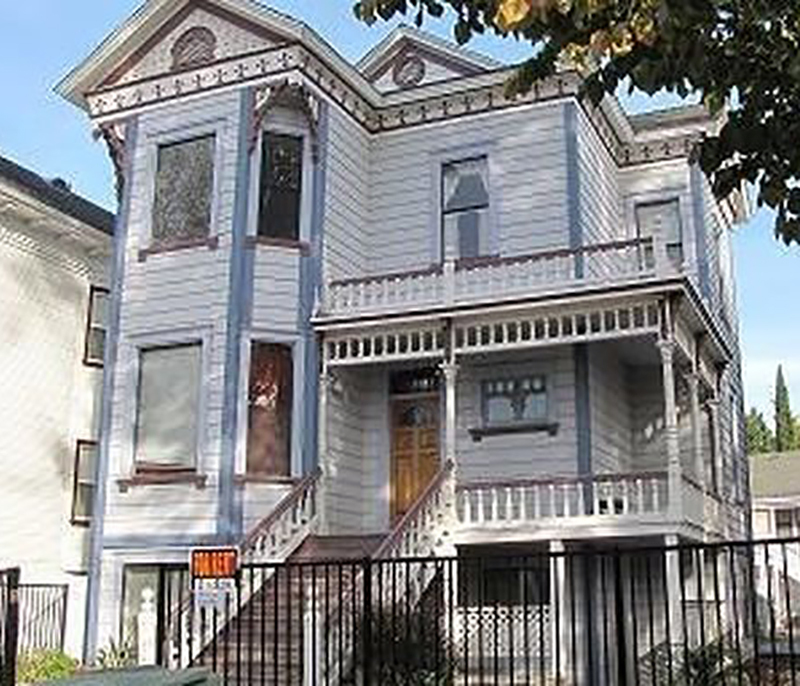 At his death in 1967, he was living at 1225 F Street, Sacramento 95814 — an old, 3-story Victorian flop house near downtown Sacramento that still stands as of 2017. Rezendes said Vernon died of tuberculosis, and that her family buried him. Tuberculosis could be related to his official cause of death, which is listed as septicemia (blood poisoning) and bronchopneumonia, with a notation of a "gaseous cavity in the apex of left lung field." Vernon was buried Aug. 24, 1967, in Sacramento's Bellview Cemetery, which became part of Arlington Cemetery, aka Quiet Haven Memorial Park, at 9899 Elder Creek Rd. He was 83 years old. Probably. 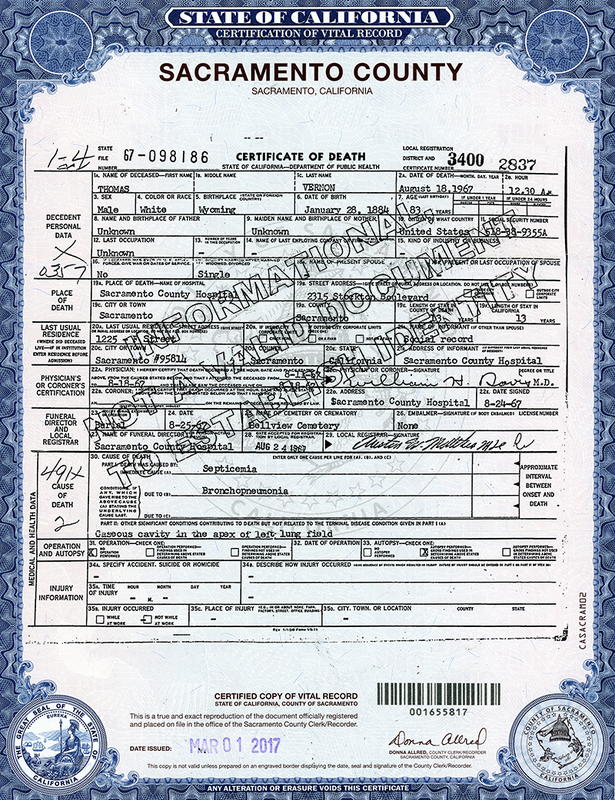 This informational copy of his death certificate cannot be used to establish identity. Ironic, no? LW2913: 9600 dpi jpeg from informational copy of death certificate purchased 2017 by Leon Worden.